Dr. Harshavardhan Halve, holds PhD in Information System and Masters Degree in Mathematics. Dr. Halve has more than 21 years of rich and varied experience in academics as well as in administration. 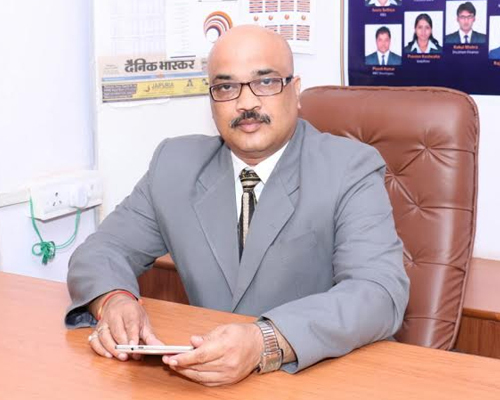 During his career, he has worked in various reputated B-schools like Goa Institute of Management, IMT Nagpur, SP Jain, Mumbai and handled the critical activities of B-School. Dr. Halve has more than 15 National and International research papers and publications to his credit. He is fellow of NIXI and Diplo Foundation for Internet Governance. He has also developed various Industry Oriented courses with the tie up of various corporate. He did four International Case conferences with the purpose of transforming case teachers to the case writers.